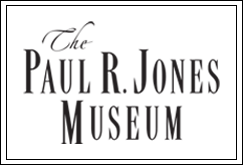 Paul Raymond Jones (1928-2010) was considered by many to be one of the top 100 art collectors in the country. Unlike the typical collector of world-class art, Jones was not independently wealthy nor did he come from a wealthy family. Jones was born on June 1, 1928, to parents Ella and Will Jones, and raised in the Muscoda Mining Camp of the Tennessee Coal, Iron and Railroad Company (T.C.I.) of U.S. Steel Corp. in Bessemer, Ala., with his four sisters. Jones’ family instilled in him from an early age the importance and value of education. As a child, he attended school in a coal mining town. After she visited Jones’ older brother in New York City, their mother was impressed with the quality of schools. He was then sent to school in New York City for a few years before returning home to complete his education at Dunbar High School, which his father had helped to establish. After high school, Jones attended Alabama Teacher’s College and completed his bachelor’s degree at Howard University in Washington, D.C. He studied political science and intended to continue his studies by attending the School of Law at The University of Alabama. However, these aspirations were stifled: In 1949, a black student could not attend the University. Mr. Jones went on to attend Yale University, the University of Chicago, and the University of California at Berkeley, and he eventually received his master’s in Urban Studies from the Governor’s State College in Illinois in 1974. Jones distinguished himself as the executive of the Birmingham Interracial Committee of the Jefferson County Coordinating Council for Social Forces, what was then known as the Community Chest. During a 15-year career with the federal government, he worked at the U.S. Department of Commerce and Justice’s Community Relations Service, helping ease tensions during the 1960s civil rights struggle. He worked for the Office of Civil Rights in Washington, D.C., and was the regional director of the Minority Business Development Agency in Atlanta. He also earned a national reputation for his work in the U.S. Department of Housing and Urban Development’s Model Cities Program and served as deputy director of the Peace Corps in Thailand. 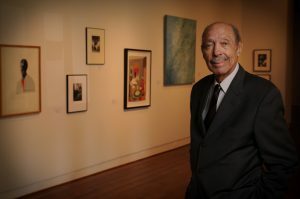 Mr. Jones was motivated to collect art when he noticed an absence of works by African-American artists in museums, in galleries, and at auctions. He began collecting in 1960 with the purchase of mass-produced prints. His collecting evolved to focus on original pieces and editioned prints, but he continued to purchase art on a middle-class budget. Mr. Jones saw art as a tool — one that could build stronger communities, strengthen individuals, and create a means of communication. Mr. Jones challenged what it meant to be a collector and a supporter of the arts. He purchased works from unknown artists as well as those that are well-known today. He hoped that his collecting would inspire others to collect works in the same way. Often, Mr. Jones would buy several pieces from an up-and-coming artist and invite people into his home to view the works in order to get them interested. He would sell pieces like these in order to buy more pieces for his collection, simultaneously encouraging a new collector. He had many personal saving strategies to make collecting art something affordable, rather than something only the well-off could do. Mr. Jones collected from the very beginning with the mindset that the end result would be a body of work with a purpose beyond simply a collection of art.  He found this purpose in the donation of the collection in two major parts to the University of Delaware and to The University of Alabama. 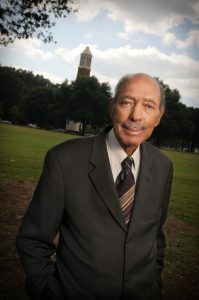 He received numerous awards including the first Martin Luther King, Jr. Center for Nonviolent Social Change Outstanding Community Service Award, three Meritorious Awards from the Southern Conference of Black Mayors, the James Van Der Zee Award for Lifetime Achievement in the Arts, an honorary degree from the University of Delaware, and an Honorary Doctorate of Laws from The University of Alabama.